“Our purchase of MISA exemplifies our ongoing commitment to continually improve and enhance the SkedFlex Air Operations Suite,” said eTT Aviation President Tom LaJoie. BOISE, ID – January 29, 2019. eTT Aviation announces its purchase of Management Information System for Aviation (MISA) from IT Aviation Solutions (ITAS), bringing extensive new capabilities to the SkedFlex Air Operations Suite family of products. SkedFlex is a comprehensive air operations suite providing the next generation of crew management products to the aviation sector while providing employees a better quality of life — a critical factor in employee retention, productivity, and satisfaction given the shortage of qualified pilots and vigorous competition among air carriers. MISA, a market entrant in 1994, provides aviation companies with integrated Enterprise Resource Planning system (ERP) capabilities to manage accounting, government contract accounting, flight operations, purchasing, inventory management, maintenance recording and forecasting, aircraft records, employee training records, human resources, payroll, technical publications, timecards, and flight-school management. “Our purchase of MISA exemplifies our ongoing commitment to continually improve and enhance the SkedFlex Air Operations Suite to the benefit of our many existing and future customers,” said eTT Aviation President Tom LaJoie. The addition of MISA’s complementary capabilities creates a broad-based solution to a wide range of aviation companies including global, regional, charter and cargo airlines, as well as maintenance and repair organizations (MRO) and flight schools. eTT Aviation’s flagship products, SkedFlex (air operations suite), and Crew Companion (world-class trip trading), support tens of thousands of aviation professionals at global, regional, charter, and cargo airlines worldwide. Corvus Airlines (Ravn Alaska) brings sister company Hageland Aviation (Ravn Connect) into the fold with SkedFlex. Long time SkedFlex customer Corvus Airlines, operating as Ravn Alaska, extends it’s multi-year contract to include sister company Hageland Aviation, operating as Ravn Connect, in 2018. BOISE, ID – July 17, 2018. Everts Air Cargo has secured a multi-year contract with eTT Aviation for its SkedFlex crew management system. SkedFlex will contribute to Everts’ success by providing the next generation of crew management solutions – helping Everts manage its complex operations more efficiently and profitably in the challenging Alaskan environment. “Our diverse fleet combined with unique geographical, environmental and time sensitive requirements necessitate a comprehensive program. SkedFlex attributes that particularly appealed to Everts include its mobility, customization, accessibility, and overall design that allows us tight flight and crew management oversight. We’re a dynamic organization and need a product that can accommodate our growth mindset. We’re confident SkedFlex will be a good fit,” said Everts Air Cargo President/CEO Robert Everts. Established in 1978, Tatonduk Outfitters Limited is a 14 CFR part 121 air carrier operated as Everts Air Cargo. Tatonduk also holds a part 135 Certificate operated as Everts Air Alaska. Everts Air Cargo’s corporate headquarters is in Fairbanks, Alaska – home to its primary administrative and heavy maintenance facilities. Everts’ line station at Ted Stevens Anchorage International Airport serves as its gateway to southwestern Alaska. Alaska’s demanding environment compelled Everts to operate a diverse fleet of DC-6 and DC-9 aircraft in scheduled and unscheduled service. Everts also offers 24/7 on-demand charters throughout the USA, Canada, Mexico, and the Caribbean Islands using DC-9 aircraft, and parabolic flights for Zero Gravity Corporation using specially equipped 727-200 aircraft. These flights are currently being flown for passenger entertainment and NASA scientific research purposes. About eTripTrader, Inc., dba eTT Aviation. Air Transport International leverages a modular approach. ATI (Air Transport International) joins the growing ranks of companies choosing SkedFlex to meet various operational needs. eTT Aviation’s SkedFlex Air Operations Suite is a modular, scalable product serving ATI with its Crew Pay and Business Intelligence (powered by Sisense) modules beginning in 2018. BOISE, ID – April 4, 2018. Key Lime Air has secured a multi-year contract with eTT Aviation for its SkedFlex Air Operations Suite crew management system. SkedFlex will enable Key Lime Air, based at Centennial Airport in Englewood, Colorado, to operate at peak performance while maximizing utilization of its assets. SkedFlex is a comprehensive product that helps air carriers schedule and manage more efficiently and profitably while providing employees a better quality of life – a critical factor in retention, productivity, and satisfaction given the shortage of qualified pilots and competition among air carriers. The suite includes advanced automation capabilities to manage operations at a better price point than the outdated and less customer-focused solutions used elsewhere. In automating many processes and reporting functions previously performed either manually or with less robust software, SkedFlex significantly reduces administrative workload – freeing airline professionals to focus on what really matters. “Key Lime Air evaluated numerous vendors to provide us with a software suite that met our crew management needs at an acceptable price point. Our unique and growing operation consisting of Part 121 and 135 flights providing both passenger and cargo service created challenges that outgrew our existing system of scheduling. SkedFlex was the answer for us as it will provide a significant improvement in the way we schedule our crews and add additional features to enhance our operation,” said David Carrizo, director of operations for Key Lime Air. About Key Lime Air, Corp.
Key Lime Air is a certificated 14 CFR Part 121 and 135 air carrier providing high quality passenger and cargo air transportation solutions with a fleet of over 30 aircraft accumulating more than 15,000 flight hours per year. Unique in the industry, Key Lime Air wholly owns its entire fleet of Embraer, Dornier, and Fairchild aircraft. The company has been in continuous operation since 1997 when it began with a single cargo aircraft flying throughout the Rocky Mountains region and has since grown to include a thriving passenger charter service catering to a wide variety of clientele. eTT Aviation is a US veteran-owned company, headquartered in Eagle, Idaho, specializing in cloud-based airline crew and flight schedule management solutions that revolutionize the way in which airlines achieve scheduling flexibility, compliance and control, while steadfastly adhering to its core values of integrity, innovation, and exemplary customer support. BOISE, ID – August 15, 2017. Encompass Aviation has secured a multi-year contract with eTT Aviation for its SkedFlex Air Operations Suite. SkedFlex will enable Encompass to operate at peak efficiency while maximizing its use of critical pilot and aircraft resources. SkedFlex is an innovative product designed to help its airline customers operate more efficiently and profitably by providing them with the advanced capabilities needed to manage operations at a lesser cost than the outdated and less customer-focused solutions used elsewhere. In automating many processes and reporting functions that heretofore have been accomplished either manually or with less capable software, SkedFlex significantly reduces workload and improves operational efficiency and communication, while providing customers’ employees a better quality of life – a critical factor in retention, productivity, and satisfaction given the shortage of qualified pilots and competition among air carriers. Flight operations, flight crews, maintenance personnel, and station personnel can directly access the software to view and manage schedules, training currency/compliance, day-to-day routing, and much more. “We look forward to our association with eTT Aviation and their robust SkedFlex Air Operations Suite of software. We believe that SkedFlex is the best solution in the market and will enable us to grow our airline, expand our fleet and increase our network across North America. SkedFlex will not only help us in providing information to maximize resource utilization but will increase efficiencies in managing our operation,” said Steve Harfst, CEO of Encompass Aviation. Encompass Aviation is a 14 CFR Part 135 Air Carrier providing high quality and reliable air transportation solutions with a fleet of brand new PC-12NG aircraft. Read Sisense’s featured case study of eTT Aviation HERE. View the joint press release on Sisense’s website here. An emerging leader in airline crew and flight schedule management systems embeds market-leading business analytics capabilities to strengthen its customers’ situational awareness, productivity, and profitability. NEW YORK, NY Sisense, disrupting the BI market by simplifying business analytics for complex data, today announces that eTT Aviation has signed a long-term agreement to embed Sisense’s market leading BI in its technology platform, replacing archaic processes within the airline industry with modern and intuitive interfaces and real-time reporting for its customers. eTT Aviation specializes in airline crew and flight schedule management with two proprietary and revolutionary products: “Crew Companion” and “SkedFlex” – reinventing how airlines achieve schedule flexibility, compliance and control. Using Sisense, eTT is able to bring in data from a variety of sources and then merge, manipulate and query data as if it was one consolidated data set. The project to embed Sisense’s analytics in eTT’s platform took only seven weeks. Sisense simplifies business analytics for complex data. Powered by its unique In-Chip and Single Stack technologies – Sisense delivers unmatched performance, agility and value, eliminating much of the costly data preparation traditionally needed with business analytics tools and providing a single, complete tool to analyze and visualize large, disparate data sets without IT resources. With thousands of customers in over 50 countries, including global brands like GE, Philips, eBay and Nasdaq, Sisense was recently included in Forbes’ list of the 25 Next Billion Dollar Startups, ranked one of the 50 highest-rated private cloud companies to work for by Glassdoor and Battery Ventures, designated a hot company to watch by CIO, CRN and Information Management, and named an ‘Overall Leader’ by Dresner’s 2016 Wisdom of Crowds Business Intelligence Market Study. Its solution was recognized in the web customer experience category by the 2016 Frost and Sullivan Awards, the company won the “Audience Choice” award at the O’Reilly Strata conference, and the company’s CTO won the World Technology Award for the invention of In-Chip analytics. Based in Eagle, ID, and founded in 2002, eTT Aviation provides automated crew and aircraft management and tracking systems for regional airlines as well as automated employee shift trading and aircrew trip trading systems for large airlines and companies in other industries. eTT Aviation’s two innovative products, “SkedFlex” and “Crew Companion” support over 40,000 employees at several global, regional, cargo and charter airlines. SkedFlex will greatly enhance Air Choice One’s ability to navigate the complex flight, duty, and rest requirements mandated by the FAA. BOISE, ID – November 14, 2016. Air Choice One has secured a multi-year contract with eTT Aviation for its SkedFlex Air Operations Suite. SkedFlex will greatly enhance Air Choice One’s ability to navigate the complex flight, duty, and rest requirements mandated by the FAA, as well as the complexities of aircraft routing and station operations, as it continues to expand its operations and route network. SkedFlex is a suite of innovative crew and aircraft management tools, providing its airline customers with the advanced capabilities they need to manage their flight schedules at a fraction of the cost of the outdated and less customer-focused solutions used elsewhere. In automating many processes and reporting functions that heretofore have been accomplished either manually or with less capable software, SkedFlex significantly reduces workload and improves operational efficiency and communication, while ensuring regulatory compliance. Flight operations, flight crews, maintenance personnel, and station personnel will be able to utilize the software on a user level to view and manage schedules, training currency/compliance, day-to-day routing, and much more. “We’re excited to have this new tool at Air Choice One because it will further enhance our operational efficiency as we continue to expand our first-class product in our markets,” said Shane Storz, CEO of Air Choice One. Based in St. Louis, MO, Air Choice One was launched as a scheduled airline providing service to hard-to-reach communities, and supports community development by increasing business productivity while enhancing the travel experience for business and leisure travelers alike. Air Choice One offers an extraordinary opportunity for smaller communities – the opportunity to enjoy the benefits of efficient, scheduled airline service into larger cities, like St. Louis, Chicago and Minneapolis packaged in a “First-Class” service and seating format. Air Choice One’s goal is to deliver the highest quality and reliability in scheduled commercial air service. eTripTrader announces its new name and slogan, eTT Aviation – Airline and Crew Solutions Taking Flight! 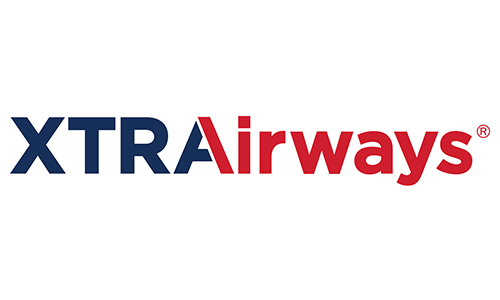 XTRA Airways has secured a multi-year contract with fellow Boise company, eTripTrader ahead of XTRA’s move to Miami, Florida. XTRA Airways has secured a multi-year contract with fellow Boise company, eTripTrader ahead of XTRA’s move to Miami, Florida. The SkedFlex Crew Management System (SkedFlex CMS) by eTripTrader will help XTRA more efficiently navigate the complex flight, duty, and rest requirements mandated by federal law, amid a rapidly expanding fleet. In migrating to SkedFlex Crew Management, XTRA Airways will increase operational efficiency while reducing administrative overhead. Empire selects SkedFlex to help ensure regulatory compliance and operating efficiency. BOISE, Idaho — Empire Airlines has selected the SkedFlex Crew Management System (SkedFlex CMS) by eTripTrader to ensure compliance with the complicated new Federal Aviation Regulation (FAR) Part 117 flight, duty, and rest requirements for aircrew. After receiving government regulatory approvals, Empire Airlines will operate a Hawaii inter-island service for ‘Ohana by Hawaiian; a regional brand of Hawaiian Airlines. The operation will initially provide direct service from Honolulu to the islands of Moloka’i and Lana’i. SkedFlex CMS by Boise, Idaho-based eTripTrader, is an agile software platform that provides regional airlines with all the features they need to manage their crew and aircraft fleet at a fraction the cost of antiquated solutions used by many other regional and major air carriers. SkedFlex CMS automates many of the crew management processes currently done manually by Empire and other regional airlines significantly reducing workloads, improving operational efficiency, and ensuring compliance with company and federal regulations. Based in Boise, ID, eTripTrader provides automated crew management and tracking systems for regional airlines as well as automated employee shift trading and aircrew trip trading systems for large airlines and companies in other industries. eTripTrader, Inc. was founded in 2002 with the launch of its trip trading product, eTripTrader, to enable airline pilots to trade flying trips. By 2007 the trip trading system was renovated and rebranded as Crew Companion, when it successfully began serving the needs of thousands of pilots and flight attendants. 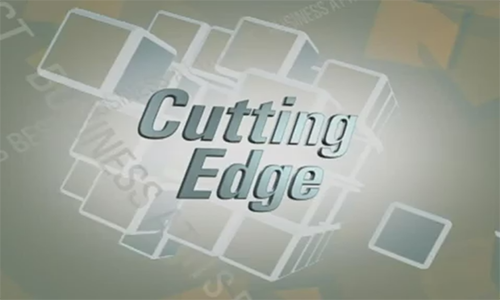 The company’s forward thinking and passion for innovation led to further expansion in 2009. That year, eTripTrader expanded its product line by adding a shift trading solution, SkedFlex, and now its products are serving over 21,000 employees throughout the country. While the Federal Aviation Regulation 117 January deadline creeps closer, many air carriers are unsure how they will meet compliance but Era Aviation, a subsidiary of Era Alaska. While the Federal Aviation Regulation 117 January deadline creeps closer, many air carriers are unsure how they will meet compliance but Era Aviation, a subsidiary of Era Alaska, is ahead of the pack thanks to a multi-year contract with eTripTrader for the SkedFlex Crew Management System. Ben Quintana, at the time with the Boise Metro Chamber of Commerce, and Tom LaJoie witheTripTrader join the Boise Better Business Bureau’s Dale Dixon and share the eTripTrader story. eTripTrader, a company that has revolutionized the tools for improving work-life balance for employees and organizations, with its sales and marketing partner Navtech. eTripTrader, a company that has revolutionized the tools for improving work-life balance for employees and organizations, with its sales and marketing partner Navtech, is proud to announce a multi-year contract with Peninsula Airways, Inc. (PenAir) for a comprehensive and innovative crew management system, SkedFlex. 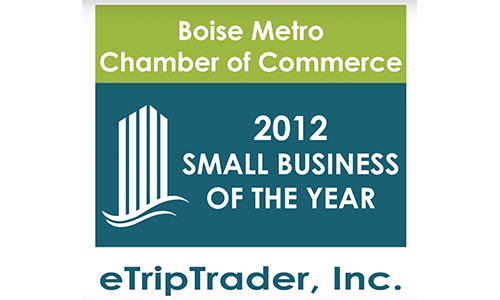 May 17, 2012 – eTripTrader wins Small Business of the Year! eTripTrader wins the Small Business of the Year award! The company has revolutionized the tools for improving work-life balance for employees and organizations.